Sometimes there’s an option that just works for everyone involved. It’s a rare unicorn, but it does happen. Agent teaming is one of those unicorns. Why? Ultimately it means better client servicing which mean happier clients. Happier clients mean continued growth and profitability. Within a team structure, agents and advisors have time to nurture and advise clients without pressure to get to the next task. More time gets spent with the client to build a relationship and the necessary trust that keeps an account secure. As an extenuation of overall better client servicing, agents are able to provide specialized service to clients instead of “one size fits all” coverage. Clients get the trustworthy and knowledgeable advice they need because agents can service them based on the team’s collective knowledge rather than a single point of contact who scrambles to keep up on changes and nuances to every available product on the market. Clients don’t face a disruption of service based on an agent's departure or absence. We can all agree that an agent’s departure shouldn’t cause undue stress to a client who might be left wondering what is going on with their account and if their account will continue to be handled with respect and diligence. A team provides a foundation of stability and trust that a client can rest easy on. Teaming means clients have quick and easy access to an agent’s advice when they need it, but it also eases an agent’s burden of servicing a large client base. This mitigates burnout and means greater personalized service to a manageable account base. An agent team mentality encourages a balance of specialties that allows for growth and nurturing of new business - in new ways that best suit clients and changing business needs. The inclusion of agents and advisors who have different marketing and sales skills means firms reap the benefit of their individual outreach to new clients through up-selling and cross-selling to clients based on their expanding needs. 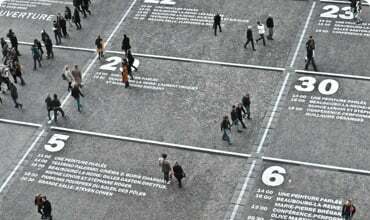 As with anything, the experienced lays the groundwork for the new. Experienced agents have a wealth of knowledge and experience that they can pass on to new agents. With this support, there is no loss of knowledge through attrition, and it builds an improved sense of teamwork. Experienced agents can focus on their bread and butter accounts while newer agents cut their teeth on new or smaller accounts. Here’s the bottom line. 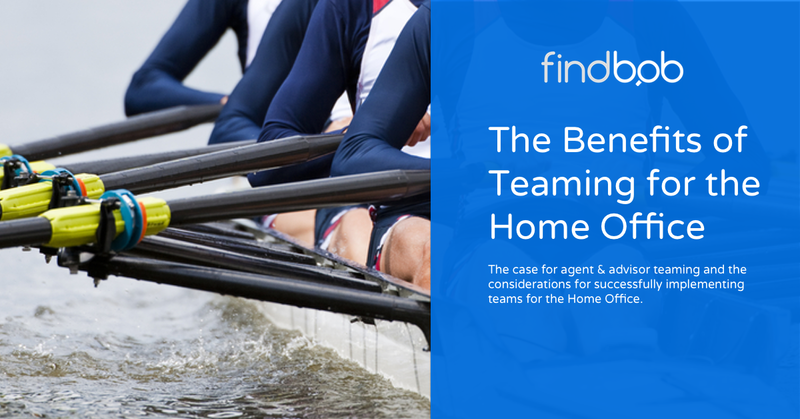 The benefits of Agent Teaming for Home Office is a protection of that bottom line. When an agent leaves, the dollars don’t just follow because the departing agent’s accounts become orphaned or worse, the client decides to leave the firm because their needs are no longer being met (which can become not just a profit issue but a reputational one as well). No firm wants to be known as the place that doesn’t take care of their clients because they can’t keep agents. With a well-oiled machine that allows for agent specialization, growth, and life balance, job satisfaction increases. It also means improvement in mental and emotional health. With this sort of support, an agent’s lifespan at your firm is extended with less chance of attrition through job hopping or burnout. Instead of looking at what can be lost by not encouraging Teaming (which is significant), let’s look to what can be achieved. Welcoming new agents into the fold who are hungry to grow brings new opportunity and new clients. A growth in the firm’s client base not only increases revenue but also mitigates succession risk - new clients are sold on the stability and benefits available. due to Agent Teaming. Should one of your agents not have a succession plan in place clients are not abandoned. Security for clients means growth for you. The Home Office should be the first line of defense when it comes to succession planning and management. A consolidated and robust marketplace can facilitate the teaming of qualified candidates by using machine learning and behavioral gamification. This means Home Office can set up their agents for success no matter how widely scattered an agent base might be. A supported teaming environment provides for an agent's individual success and growth while ensuring the firm’s overall strength and viability. In providing this support, Home Office is also meeting the ever-evolving demands of a changing client base that addresses needs based on both generational preferences as well as the financial necessity of each client. FindBob offers enterprise solutions for carriers, agencies, brokerages, and RIAs to ensure that both the Home Office and the agents or advisors they depend on have long-term plans and successful growth strategies in place.